It's sad to say, but there are some who envision these atop people's heads in real life. If you are online a lot and happen to enjoy playing video games, chances are you have tried an MMO (or Massively Multiplayer Online game). If so, then you are probably familiar with the atrocious excuses for "quests" that many MMO developers place in their games mostly as time sinks or because they are too lazy to come up with more interesting ways to entertain players. To begin, let's say that you just made a shiny new character, and enter World of Warcraft for the first time. You do a few introductory things, and then are left to your own devices. Exploring the surrounding area a bit, you see a few NPC's walking about with golden exclamation marks over their heads. Remembering from the tutorial that these helpful folks provide you with quests, you walk up to one (let's call him Farmer John), and begin to speak with him. Farmer John has some issues, it would seem. He has a ten minute long sob story prepared for you, which you, like a good little newbie, read in full. It would seem Farmer John has a problem with rats in his pumpkin patch, and he asks you to kill six of them for the reward of thirty silver coins. "Great!" you think. "This game is awesome!". You go down to Farmer John's pumpkin patch, kill the rats, get your reward, and do a little dance in honor of your accomplishment. After finishing the starting zone though, and dealing with a billion more Farmer John's and their pumpkin patches, you begin to become a bit more jaded. Now you skip the quest giver's sob story and mechanically accept what they require for you, do the job, and return for the reward. Fast forward a couple more levels and you are on absolute auto-pilot. You practiaclly aren't even playing the game anymore. You're just going through the motions while alt-tabbing into your web browser or watching TV. When you actually need to do the kill part of the quest, you just use your tried and true rotation of 1 + 2 + 2 + 3 + 4 to decimate your opposition. What's that? You want me to kill some stuff? Ok. Just let me get Starcraft 2 running so I have something fun to play while I'm doing it. See what I am getting at here? The kill quest is evidence of the inherent lack of creativity of most MMO developers. They are banking on the idea that the social aspects of their MMO will hide the fact that what you are really playing is a crappy version of a single player game (such as Skyrim). Kill quests wouldn't even be so bad if there were an actual purpose to them. 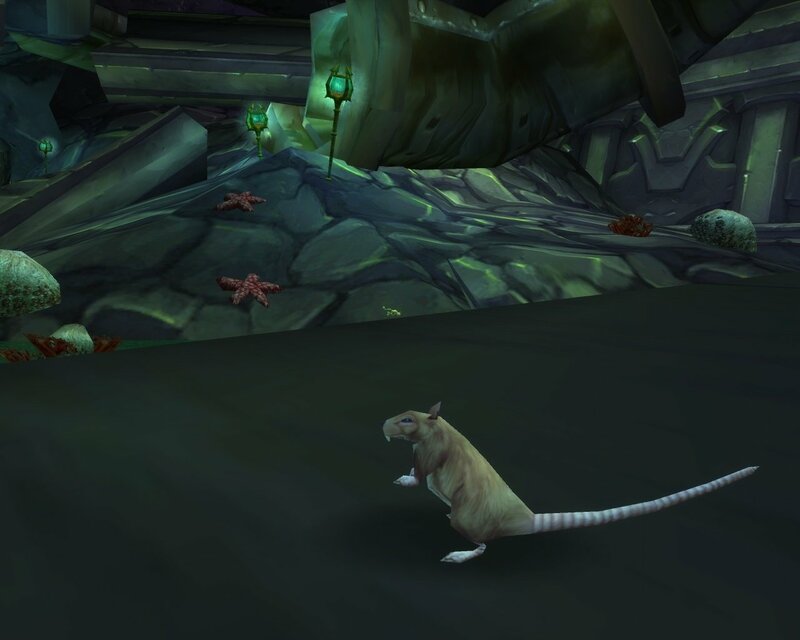 Dealing with Farmer John's rat infestation is really about as complicated of an exposition as you will get for most MMO kill quests, and that in itself is a disappointment. There is nothing akin to (*Skyrim spoiler alert*) assassinating the Emperor in Skyrim, which makes you feel like what you are doing has some actual importance in the game world. For MMOs, kill quests aren't meant to add anything substantial to the game, they are just there to feed the player a spoonful of experience points and provide them with their next dose of upgraded armor to keep them blissfully unaware of the monotony of what they are really doing. Moving on to a slightly different issue, what's worse than dealing with Farmer John's rat infestation? Having to hike back to his farm to harvest six pumpkins for him with the only reasoning being that he is too weak, lazy, busy, or scared to do it himself. This type of quest in the MMO setting is especially annoying, because like the kill quest, they are rarely given much exposition and after a few of them you will be on auto-pilot the whole way through. It seems though that I have begun to touch upon the actual issue with quests in MMOs, that being the fact that developers just don't seem to care that their work is entirely sub-par when compared to offline games. The average MMO developer, pictured here on the job. For example, I highly recommend the game Star Wars: Knights of the Old Republic (2003) as it provides one of the most cinematic and interactive video game experiences imaginable, despite the fact that it came out nearly a decade ago. Its MMO counterpart, The Old Republic (2011), came out late last year, and compared to its offline predecessor, has a poorer storyline, less memorable companions, villains, and locations, and arguably a more dysfunctional combat system. The moral of the story here? MMO developers need to realize that players don't find their mindless kill quests, fetch quests, and whatever the heck else it is they do to keep us on an endless treadmill enjoyable. Until developers can get their heads out of the sand and start putting actual effort into their online games, MMO design will remain stagnant and people will continue to move away from their expensive pay to play models to instead find refuge in the ever-evolving market of offline games being released each year. As you can probably tell, I've quit MMOs for the time being until they can significantly improve their combat and questing systems, and can package it all together in a presentation that matches what a single player game can offer. Until that happens friends, I'll be playing Skyrim.